Royal Caribbean announce unscheduled repairs to Allure of the Seas! Yesterday Royal Caribbean announced that it’s largest and newest cruise ship is to undergo unscheduled repairs. The 225,282 ton ship is to have repairs done on the week of February 24th 2015 at the Grand Bahama Shipyard in Freeport Bahamas. The reason for the repairs is due to recent mechanical problems relating to one of the propulsion motors. Royal Caribbean did announce that the issue didn’t effect the ships maneuverability or passenger safety. One of the motors has bearing wear and that is why the cruise line has been sailing at a slower speed so that it won’t wear done at a faster rate. Until the repairs are made Allure of the Seas will sail at less knots so that the ship can still offer cruises people have already booked. Guests who are booked on the cruise when Allure is to make repairs on the Week of February 24th will get a refund from Royal Caribbean. The cruise line will also offer them new selected itineraries which they can choose from instead of a refund. Changes have also been made to current and upcoming sailings because of the lower speed. Only Allure of the Seas eastern Caribbean itineraries will be changed. The ship will call at Nassau Bahamas from 7:00Am and depart at 1:00pm and St Thomas, Us Virgin Islands from 11:00am and then depart at 5:00pm. So the itinerary adjustments are very small which shouldn’t effect the overall cruise experience. 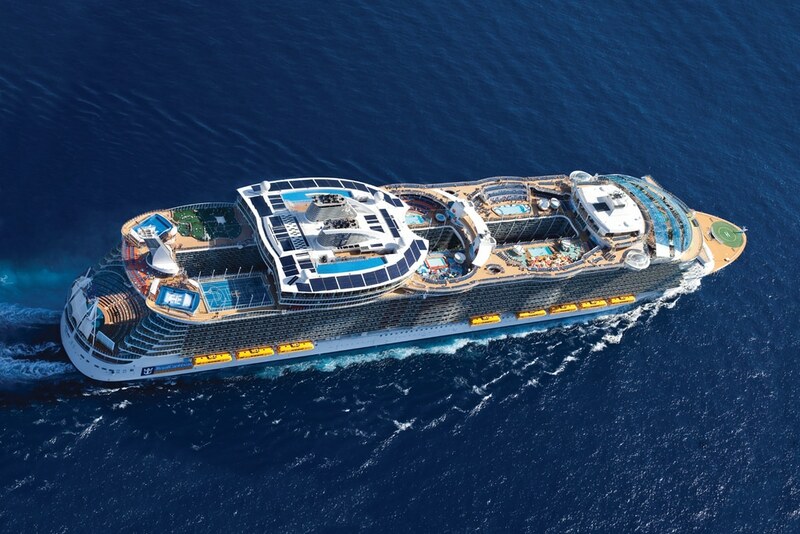 Have you ever sailed on the worlds largest cruise ship Allure of the Seas or want to sail on her? Let us know in the comments below.